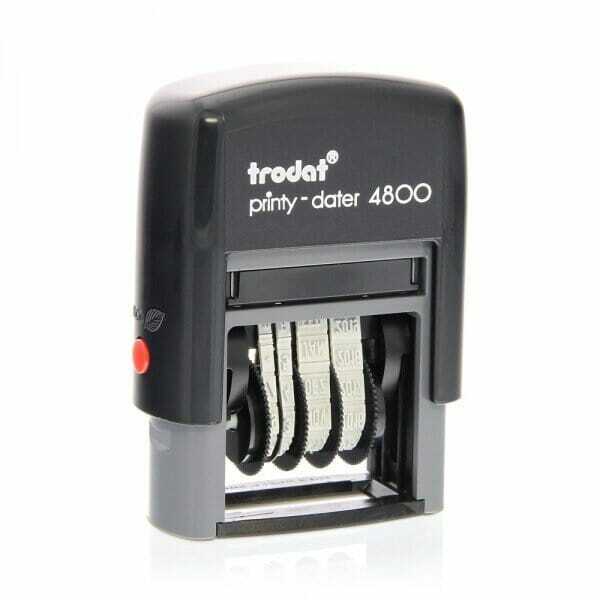 The Trodat Printy 4800 is an environmentally friendly self-inking date stamp; made up of a minimum of 70% recycled plastic. With an impression size of 20 x 3 mm, it produces a 3 mm high date size creating a marking of day, months worded and 12 consecutive years. It is supplied with a black ink pad as standard. Customer evaluation for "Trodat Printy 4800 Date Stamp - 3 mm"